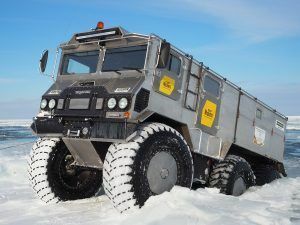 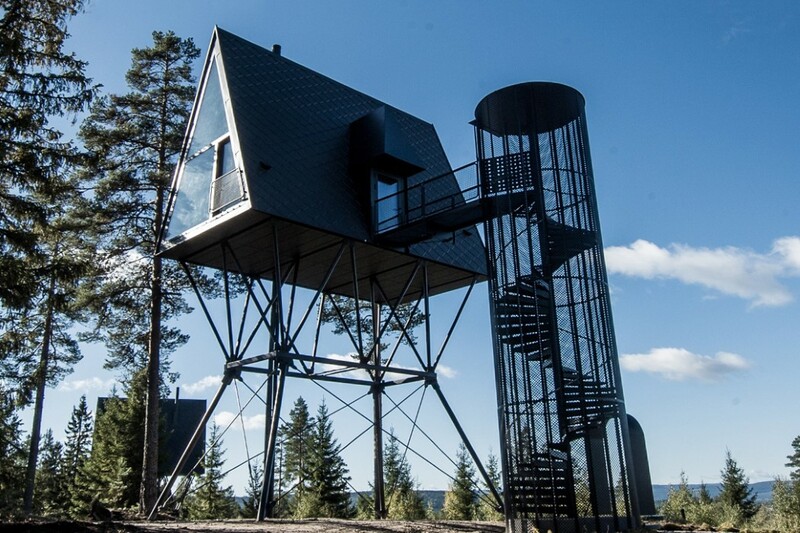 PAN Treetop cabins is a unique possibility for tourists who want to experience the quiet of the Norwegian forest, exciting activities, traditional food and extraordinary animal life. 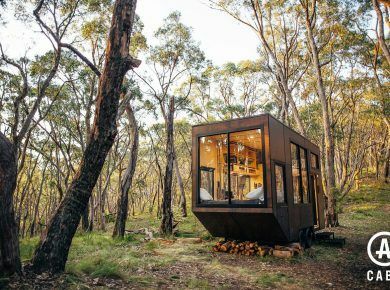 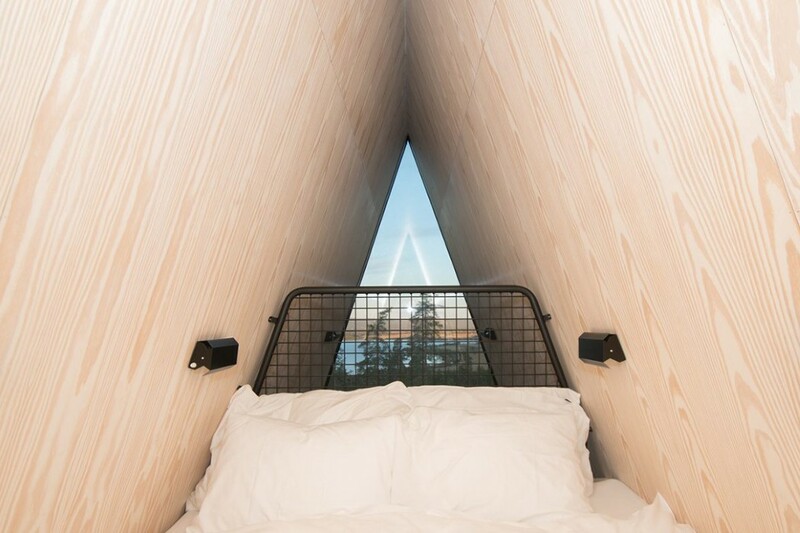 Designed to tickle your childlike fancy, the Treetop Cabin models itself on the concept of a treetop house, and the stylings of a triangular prefab. 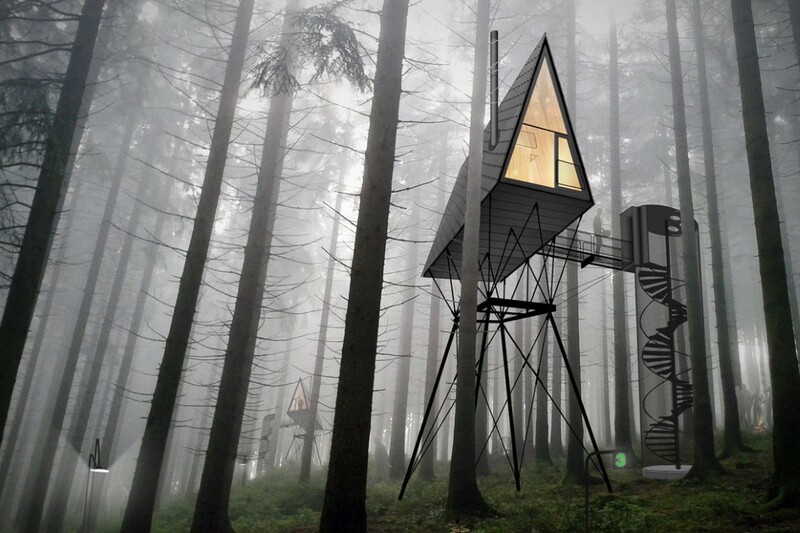 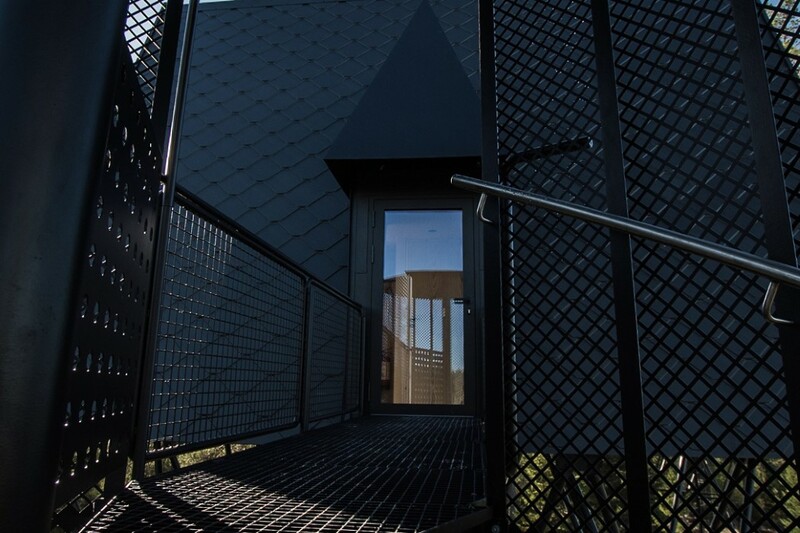 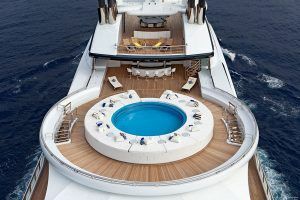 Designed with an A-shaped roof that travels downwards to become the wall, the house would, at first appearance, look small, but climb up the spiral staircase and into it, and you realize exactly how cozy and comfortable it is. 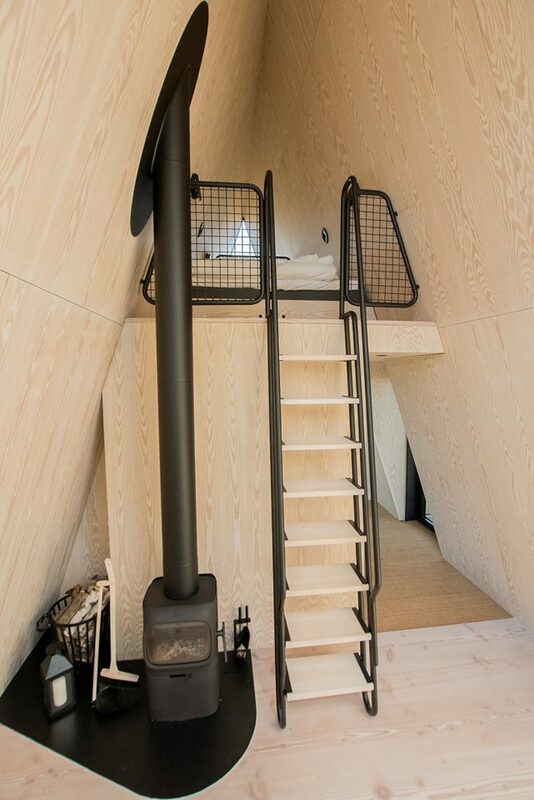 With two floors, the PAN treetop wooden cabin gives you a living room, kitchen, and a bathroom on the lower level, and a comfy bedroom on the top. 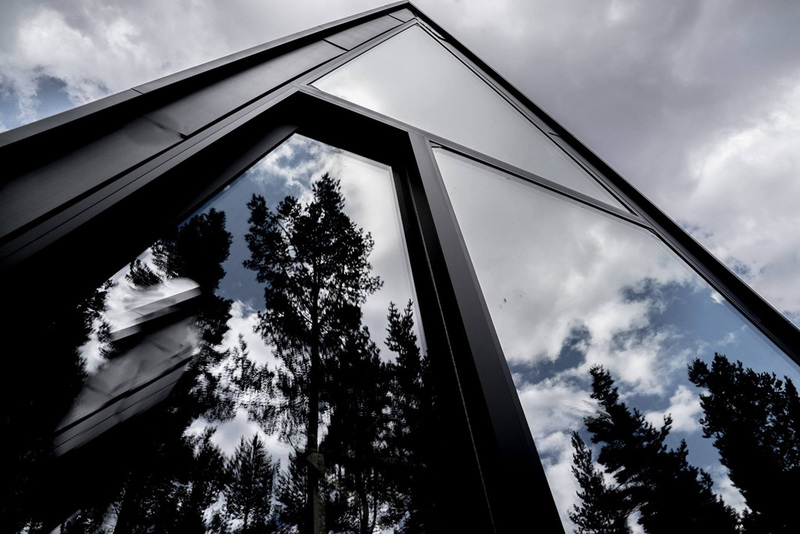 With glass facades on two sides, you get an aerial view of the forest and if strategically placed, a view of both the sunrise and sunset. 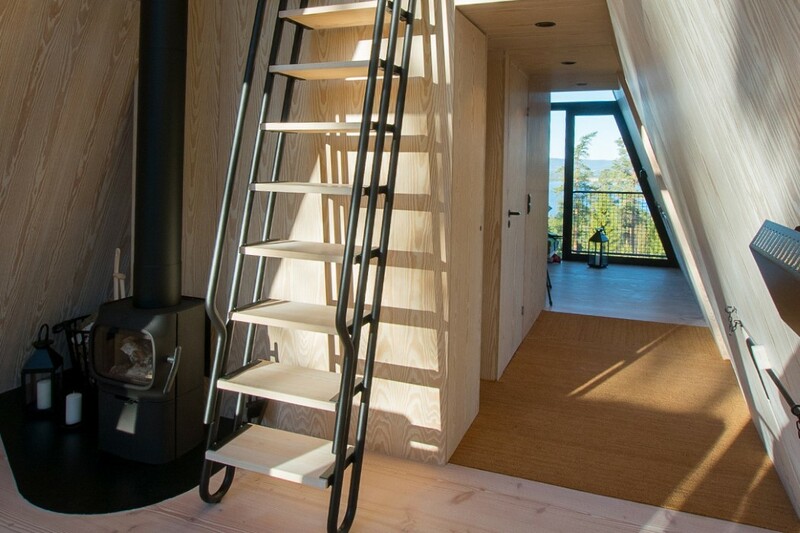 The elevated design allows this modern forest cabin to be non-intrusive, giving freedom to the animals below to move around freely, while the four stilts below the cabin come with braided steel cable reinforcements, to keep the treehouse secure and upright, giving you an elevated, and magnificent view of the Norwegian forests of Finnskogen. 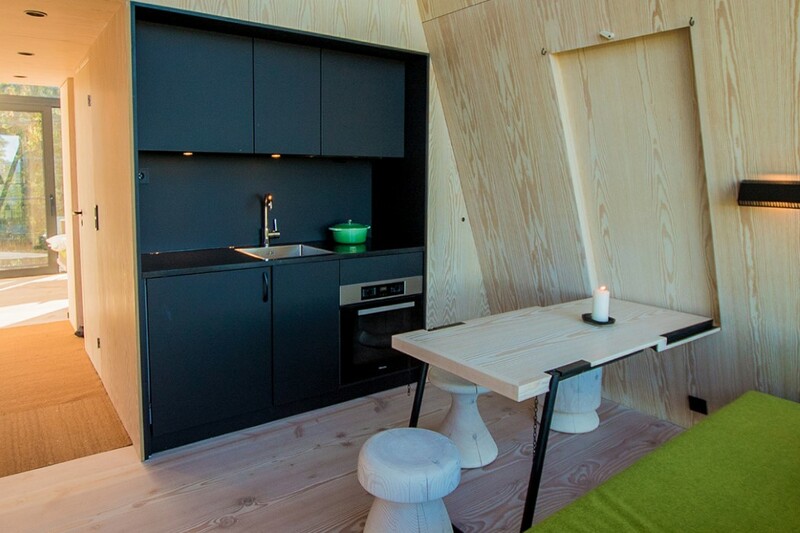 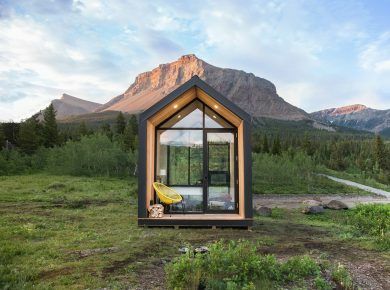 If you want to see more modern tiny houses – you should check our previous post.